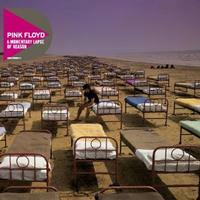 Released in tandem with EMI's huge Why Pink Floyd...? campaign that includes remastered CDs, an SACD, Blu-Ray DVDs, memorabilia box sets and more from their legendary catalog. From 1987, A Momentary Lapse of Reason is the first album featuring the later three-piece lineup of David Gilmour, Nick Mason and Richard Wright. The new Discovery version presents the original studio album, digitally remastered by James Guthrie and reissued with newly designed Digipak and a new 12-page booklet designed by Storm Thorgerson.